Quotes about empathy for kids. 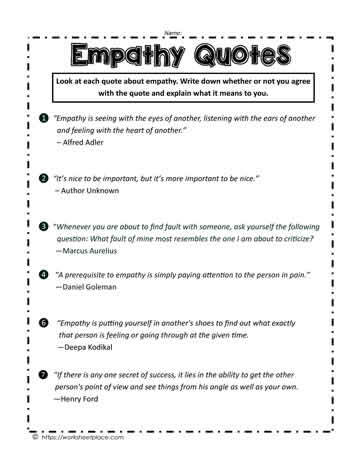 Use these quotes to teach children about the character trait empathy which is similar to the pillar caring. Students look at the quotes, determine what they mean and if they agree with them or not and why or why not.